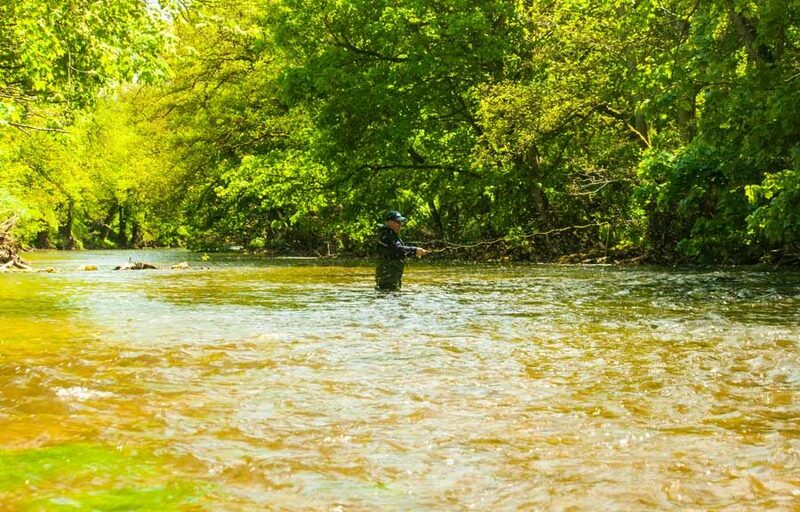 Here are three tips that are sure to improve your fly fishing. You would be amazed at how many people when arriving at the water’s edge, just set up and start fishing. Before you set up have a walk around the whole water you intend to fish. Look for signs of moving or rising trout such as small rings where fish are sipping, bulges in the water where they are feeding just below or flat patches of water appearing on a rippling surface. Give yourself the best chance of catching by casting where the trout are feeding! Once you have found your fish you need to present your fly to them so it looks like a real piece of food – a pile of leader and fly line looking like a plate of spaghetti isn’t going to work! Check your rod isn’t going too far back on your back cast. A nice high stop on your forward cast will help form a tight loop of the line which means a better turnover. If in doubt, get a friend to watch you or video yourself casting to get an idea of where your rod is stopping. If things are not working for you then keep moving, try different areas of water and try fishing at different depths. Keep moving until you find the fish, don’t expect them to come to you!